First Class Field Hockey is a local field hockey club located in and around Lehighton, PA and the Lehigh Valley Area. First Class started in 2007 and has taken teams to the National Field Hockey Festival and the National Indoor Tournament each year. High Styx's mission is to provide year-round field hockey training for the serious student athlete. We do this by teaching proper mechanics, techniques and strategies and by promoting respect for the players, coaches, umpires and spectators. GAMEFACE INT'L, (formerly Grand Slam) 2816 Old Pricetown Rd, Temple, PA 19560, is the official indoor training center for the High Styx Club. Mystic Hockey Club is a program designed to instruct players in proper fundamental skills and with a deep understanding of cutting edge tactics. The attributes of Teamwork, Friendship, and Dedicated Training are the hallmarks of the club. Mystic has sent over 400 players on to college field hockey. The Viper Field Hockey Club Team is a premier Field Hockey Club comprised of player from Southeastern Pa, Northern DE, Northern Maryland and Southern NJ. The club fields division teams in the U10 / U12 / U14 / U16 / U19 age groups. 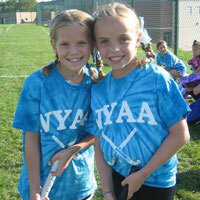 The Viper Field Hockey club competes in local and regional tournaments throughout the year. We are a competitive field hockey club located in Spring City, PA. Director of Coaching Jun Kentwell is a former Chinese National Team Player and Coach and current International Umpire. Our focus is on total player development for players ages 8 to 18. We offer private individual and small group coaching in addition to our Club Program. The X-Calibur Field Hockey Club strives to create a place whole lifelong learning occurs. Our players develop the ability to advance their individual and team skills, and their minds. X-Calibur's founding staff strives to teach that success comes from the heart; from the desire to never give up even when it looks hopeless. This is a tradition we hope to continue. Come join the legend and help it grow! Download this in a PDF here.